Do you value your ability to stand up, to walk, to run, to be mobile? If so, then how much do you really value your spine? Humans have evolved to stand upright. Our heart and cardiovascular system work more effectively this way. Increasingly though, due to work, traffic, technology and lifestyle, we are spending less and less time upright and more time in a seated position which is arguably the worst position in which we could spend up 30-60% of our adult life (think about it – university, work, public transport, driving, eating and traveling). 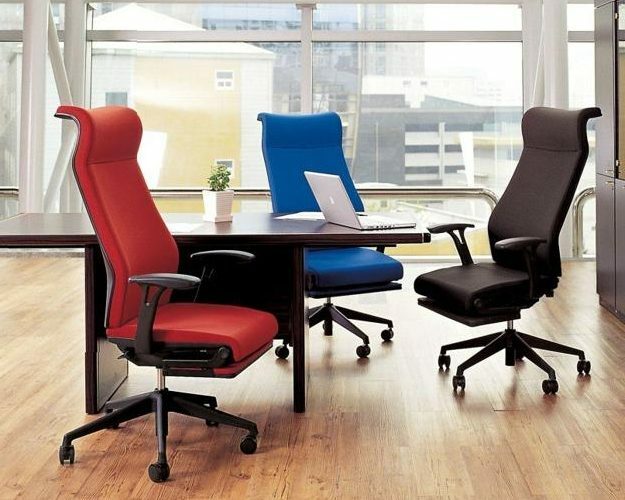 There are many ways in which incidental exercise and better health can be promoted in the workplace and I will detail that in another article however as sitting is likely to remain the major posture for office workplaces across Australia, the quality of your office chairs is critical and a cost on which scrimping should not be an option. If you have just signed a lease for 5 years and your staff will be sitting at their workstations or desks 5 days a week 8 hours a day. A cheap imported chair is not going to do the job. Cheap chairs may have their place but it is our professional belief that that place is not in a commercial office. So how much is the minimum spend for an office chair? The frequency of the chair use. Is it part of a hot desk workstation used once per week or is it used in a 24/7 call centre? Improvement of work output due to reduced physical pain and stress. Always try to purchase Australian made or at the very least, chair with a large Australian-made content. Australian made chairs are a very high quality and any opportunity to support Australian made is better. Look for seating that has an AFRDI (an independent Australian furniture testing body) rating suitable for the use you are planning. For example, heavy use task chairs should not go below Level 6. Seek an experts opinion – your office design and fit out company will have the latest and most up-to-date industry information and have testimonials from other clients. Always ask for demonstration chairs that you can test for a period of time. A chair may seem comfortable at first, however, you may change your mind after a few hours.